The mission of the Insurance Institute of Indiana is to create and maintain a business, legislative and public awareness climate in Indiana, about and pertaining to the insurance industry, that promotes the continued success of the insurance segment in the free enterprise system. In other words, III serves the business interests of insurance companies and uses its considerable influence with Indiana legislators to have favorable laws enacted. 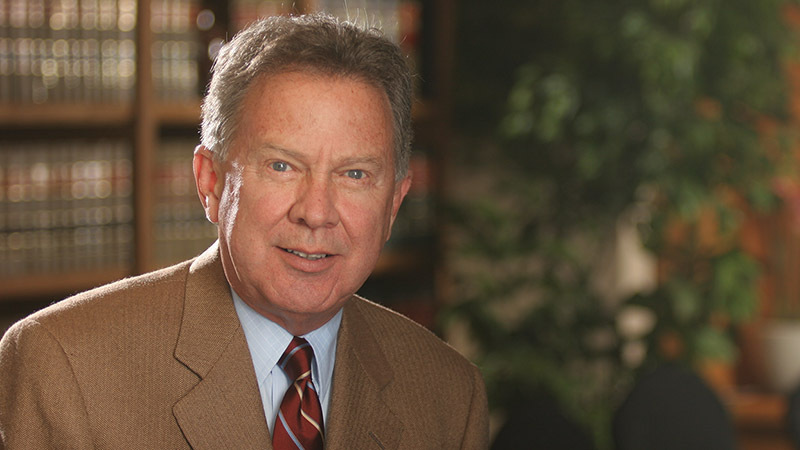 In 1975, III hired Frank Cornelius to lobby the Indiana Legislature to pass what it described as a medical malpractice reform law. The bill capped damages awards at $500,000 and eliminated all compensation for pain and suffering. Frank successfully argued that passage of the law would reduce the costs of medical care and prevent doctors from leaving Indiana. These are the same claims that always are made by insurance companies when they wish to restrict consumer rights to recover for injuries caused by medical negligence. Ironically, Frank later became a victim of his own success with Indiana lawmakers. In 1989, he had a routine arthroscopic surgery on his left knee. The surgeon ignored Frank’s complaints of great pain, so he consulted a second surgeon, who determined that Frank had developed a degenerative nervous disorder caused by trauma or infection associated with the surgery. A few months later, Frank’s left leg was further injured when a physical therapist misread instructions on a medical machine and shot a huge current of electricity through his already injured leg. Thereafter, another doctor used the wrong instrument on Frank during a medical procedure which left him with punctures in the main vein between his heart and legs. Only his wife prevented him from bleeding to death that night, by sounding an alarm to hospital personnel. A doctor who responded punctured one of Frank’s lungs. This series of medical mistakes left Frank in enormous pain, confined to a wheelchair and breathing on a respirator. He required a constant morphine drip to cope with the pain. Frank’s medical bills and lost income totaled more than $5 million. He managed to collect only the maximum $500,000 capped damages that he earlier had helped become law. In a 1994 New York Times comment, Frank wrote that he rued the success of his work on the Indiana medical malpractice law. He pointed out that the claimed benefits of the so-called reforms never materialized. Even with the damages limitations in place, health care costs in Indiana climbed 139.4 percent from 1980 to 1990—roughly the national average. Per capita healthcare spending placed Indiana 32nd nationally in 1980. It remained the same ten years later, in 1990. Then, and now, total medical malpractice costs account for less than one percent of health care costs in the U.S.
Frank wrote that "doctors and insurers have spent millions propagating the myth that America is awash in unjustified malpractice suits and crazy jury verdicts… damage caps are arbitrary, wholly disregarding the nature of the injury and the pain experienced by the plaintiff." He concluded that restricting victims’ rights will not reduce the incidence of medical negligence. Shortly after Frank Cornelius’ New York Times piece was published, he died—broke. He took his own life by an intentional overdose of morphine. Federal Medicaid for the poor would no longer cover the cost of the device that dispensed his morphine. Medical malpractice is the 5th leading cause of death in the United States. The vast majority of malpractice victims never receive any compensation for their injuries and other losses. The real problem with medical malpractice is that there is too much of it, and very little is being done to prevent it.